A very familiar faces in European baseball, Tom O’Connell will lead another strong group of speakers in Mulhouse. In Mulhouse, the ABCA Hall of Famer will share his love for the game with topics on infield play and baserunning. Other speakers at the EBCA Convention will be Dave Schuler and Charlie Greene among others. Tom O’Connell was recently honored as the 2011 Coach of the Year by the National High School Coaches Association. 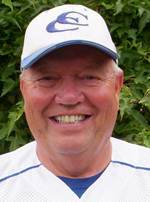 He was also ABCA National High School Coach of the Year – 2004 and 2010 – and has been named Midwest Coach of the Year four times. In 1995, he skippered the USA Baseball North Team that featured four future major leaguers in the United States Olympic Festival in Colorado. An accomplished author, O’Connell has published three books with Human Kinetics Press, Coaching Baseball: Techniques and Tactics, one of the top selling baseball handbooks and the textbook for coach licensing in the USA, Coaching Youth Baseball, a manual for youth coaches, and, most recently, Play Ball: 100 Baseball Practice Games. Coach O’Connell is also a frequent speaker at clinics around the United States having presented at coaching clinics in nine states. For the past thirteen years he has also been Vice-President of International Sports Group, organizing and speaking at winter coaching clinics in Germany, Spain, Slovenia, Czech Republic, The Netherlands, Ireland and Austria. O’Connell has served as the Lead Envoy Coach in Germany for Major League Baseball since 1993 – spending fifteen of his summers developing players and coaches – and is currently a scout for the Baltimore Orioles. Besides his avocation in baseball, he has been intensely involved with Milwaukee Irish Fest, the largest Irish music festival in the world, serving on its Board of Directors, supervising Festival activities and booking entertainment. He has been married to his wife Paula for 44 years and has three grown children and five grandchildren.